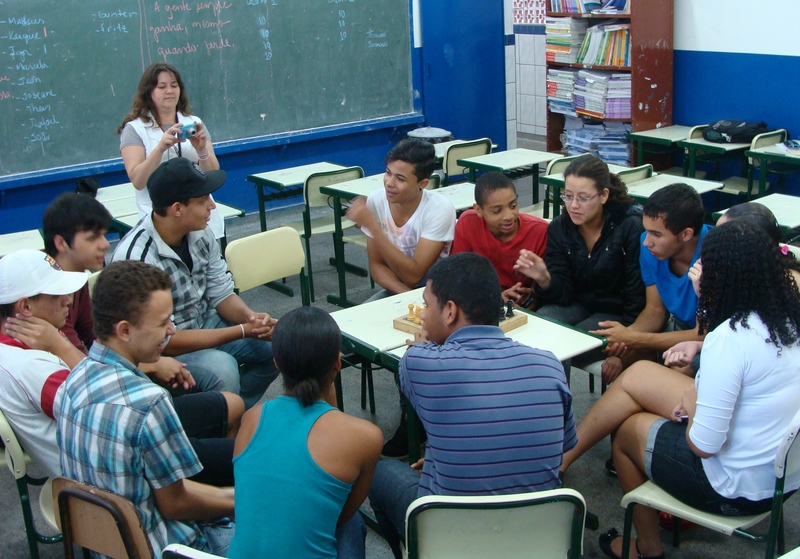 The Formalider Course develops extra-curricular leadership in adolescents in schools in Sao Paulo – Brazil. Students are invited to produce videos on GoAnimate for Schools because it’s an excellent way to work with the content addressed in the classroom. We started with the question, “what is the most important thing in life to you?” Most students in the course showed great difficulty in answer this question. Identifying this is first step in setting priorities in life and knowing where students should channel their energy and intelligence. To help students reflect on and answer this question, we proposed a play activity which included the production of a video. Their answers were spontaneous when we presented the project, especially when they learned their initial text should be completed in the form of a dialogue. In addition, knowing that this text would be used to produce a video got the class incredibly lively. Now, review the response from your friend and tell me what the first thing is that you would do. Try to describe the emotions of the moment. Family was the most important thing pointed to by most students. Since we are talking about important things, there is no better way to express these things than to make them public on the Internet. This publicity helps students not to forget what they chose as a priority in their lives. Producing and publishing videos was a rich learning experience for the students, and an excellent strategy education for the teacher.